1) Compatible for more platforms. Magento 2.0 will run on PHP 5.3 and Zend Framework as 1.0. And it will support MSSQL, Oracle and some other database as well. This is a good news for Windows Platform Server. We can see that Magento keep growing and seek to support more and more popular platform soon. Because of the component based module structure, Magento 2.0 has got a completely new level of flexibility, when it comes to development. The components include CMS, catalog, customer, check out, sales and many more. The developers are allowed to enable or disable any component. Also, they can keep the code base clean and detangled at the same time. This also helps to enhance the performance of the site. Because of the completely new file structure of the Magento 2.0, the developers find it much easier to develop custom Magento themes. It has got no base theme and the base views are moved into the module structure. Magento 2.0 has enhanced methods of payment options for its clients. The new version has made its config.xml structure 20% more productive. Hence, developers can offer customized payment solutions easily and quickly. For Magento Team, Speed and performance has always been the most important Concern Point. But in the latest version, Speed will be 20% faster than the prior Magento 1.x versions. This will be extremely sensational change in the Magento performance. With the presence of Visual Design Editor in Magento 2.0, it is easy for store owners to use “drag & drop” interface for editing Magento layout without any specialized technical knowledge. Thus, you can roll out numerous improvements in the admin panel at ease. Magento 2.0 is more secured than the previous versions because of the remarkable changes made in the directory structure. There is a new directory named ‘pub’ through which the developers can keep their codes secured and protect them from various security breaches. 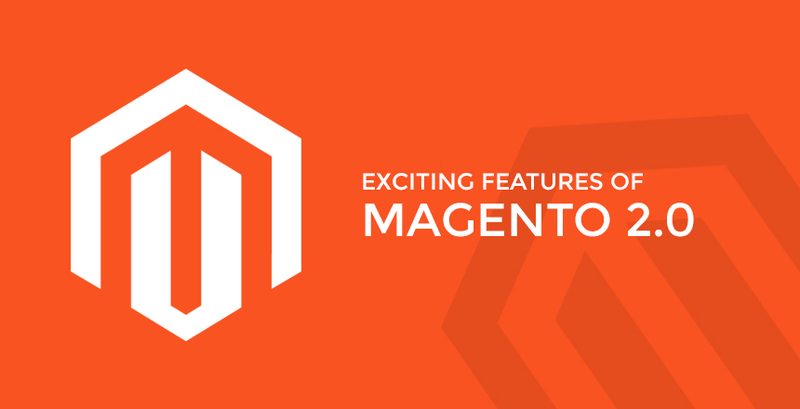 Magento 2.0 has come up with better layout elements and introduced the containers concept. The containers contain separate segment for blocks & also have sub-containers. It is not easily feasible to conduct automated tests for Integration, Unit, Functional, and Performance Testing. But with Magento 2.0, automated tests can be set up effortlessly as contrast with the 1.x versions.